I booked a car for my wife. They were supposed to pick here up as they advertise. She waited by the door with her coat on for 40 minutes. When she called to see where they were they said that they had been there and no one was home. When she told them that that was impossible since she had been waiting by the door the whole time they had nothing to say but that they no longer can come since it was too close to quitting time. 0 customer service rating here. Great customer service. Called and let me extend for the same price for three days. One critique would be to offer to pick up and drop off. We were staying nearby with family, so we walked the half hour alone the highway, no biggie, but didnt realize there was another option as the other reviews said. Best price in the area #kayak Efficient rental, quick and courteous. The best customer service!!! Staff are very polite and helpful! Our first choice of rental office and strongly suggest to everyone. They pick you up and dropp you off as well! Thank you for the friendly service Rasim and Alex! 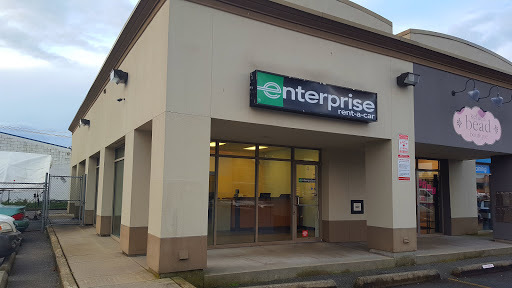 My go to place for car rentals. Great prices, good selection, often they upgrade you free of charge if the other cars are available. They also pick you up and drop you off at home if you live close by. Simply awesome!